The purpose of this notice is to formally recognize SHPE at Fermilab as an active chapter within our Society of Hispanic Professional Engineers national membership and location in Region 6. Fermi SHPE was approved by the National Board of Directors as a SHPE professional chapter on November 1, 2017. 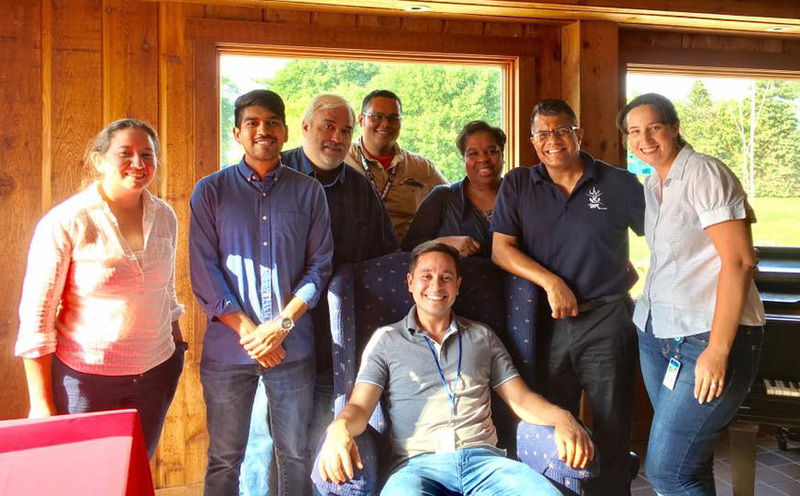 You see, back in February a few of us started a conversation about starting a chapter of the Society of Hispanic Professional Engineers here at Fermilab. We started putting up flyers to recruit others, having regular meetings and drafting bylaws. At one point (in August) we even emailed the engineers-all listserv and the self-identified Hispanic employees listserv to identify as many interested people as we could. The president of the Chicago Professional Chapter came to Fermilab and spoke with us. fSHPE hosted a social on Aug. 10, and, special guest Mike Salazar, SHPE-Chicago chapter president, attended. We formed officially on Nov. 1. 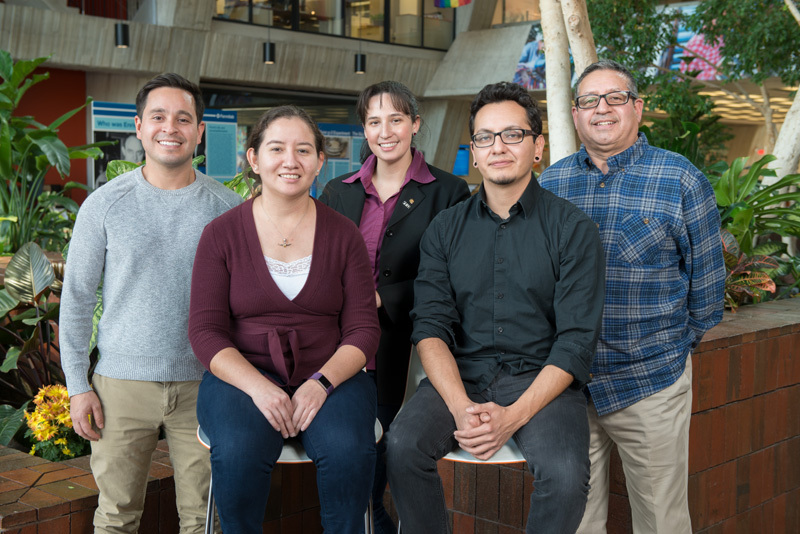 The Fermilab chapter of Society for Hispanic Professional Engineers represents Fermilab as an organization that offers STEM careers and promotes diversity by engaging with SHPE professional and student chapters. We aim to initiate and contribute outreach efforts to the local community, through both STEM and philanthropic methods. Excitingly, Jeny Teheran and I got to represent Fermilab at the SHPE 2017 National Conference in Kansas City, Missouri, in early November. 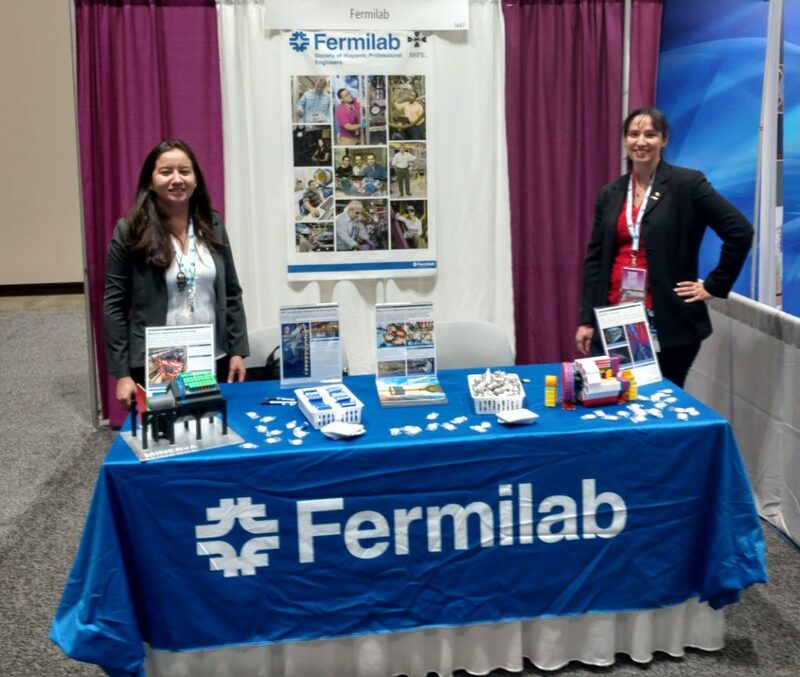 Although there were a few other national labs with booths, and DOE itself had a booth, Fermilab is the only national lab with a SHPE professional chapter. Dozens of students visited our booth looking for internship opportunities. Some of them couldn’t contain their excitement about Fermilab. And some had never heard of Fermilab, but after speaking with Jeny and me, left excited about the opportunity to apply for a summer internship. Participation in this conference was a major step forward in having Fermilab recognized as an engineering powerhouse, and continued participation will cement that image within the Hispanic engineering community. We were also visited by Rodrigo Garcia, P.E., the founder of SHPE. He was very excited to see Fermilab had formed a professional chapter and specifically came over to congratulate us. At the conference, there was a good deal of networking events, including the career fair. We made contacts with several other SHPE professional chapters that we will be developing over the next year. Aria Soha is the president of the Fermilab chapter of the Society for Hispanic Professional Engineers.